Celebrate Health Information Management Professional Week 2018! Subject matter experts (SMEs) in the entire lifecycle of the health record, including data collection and information access, use, disclosure, retention and destruction. Skilled experts in data and information management regardless of the medium in which it was collected and used (paper, hybrid, electronic). In our Practice Management Nuggets Webinars for Your Healthcare Practice on February 15, 2015, we spoke with Lisa Proudfoot, Instructor, Health Information and Practice Assistants, School of Health and Public Safety, SAIT Polytechnic about the role of the HIM professional in your healthcare practice. Lisa #1 Tip to health care practice managers about the HIM profession? Medical background – anatomy, physiology, terminology; records management and electronic medical records; privacy legislation; basic office productivity software, health data collection and abstracting including ICD-10-CA; database design and management, statistics, how to present a meaningful report, data standards, quality management, project management, andchange management. Why hire a new HIM grad in your practice? An independent primary care practice can benefit from HIM professionals in their team have a strong, comprehensive understanding of medical terminology and integrated health care services. Workflow design to support clinical standards of practice and accreditation. Statistics collection and reporting to support business decision making in your practice. HIM students also receive instruction in management related skills including basic management principles and additional instruction in project management, business case, leadership and motivation, change management, and quality management, risk management and patient safety. Many HIM students are entering the program from previous education and degrees and previous health care related careers. Don’t assume that new grads are new to work place. If you need some help to transition from paper to EMR, or other projects to improve workflow or prepare for a new project, consider accepting a HIM student as a practicum placement in your practice. Practice Management Nugget webinar interview with Lisa Proudfoot recorded live on Thursday February 19, 2015. Listen to the replay now! Bonus tip: There are so many things you need to know to start, maintain, and grow your practice. Join us each Thursday for nuggets of information that you can use right away for your healthcare practice. Brought to you by Jean L. Eaton, Your Practice Management Mentor. 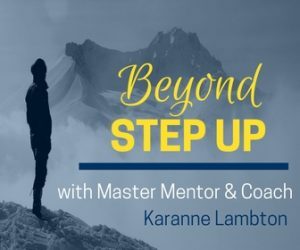 In our Practice Management Nugget series on September 10, 2015, I spoke with Karanne Lambton, Life Fulfilled Coaching and Amazon Best Selling Author of “Step Up; 52 Actions for Emerging Leaders”. Karanne shared 5 Step Activation Process © that you can take to guide you to successful outcomes and grow into your leadership potential. Now you can get your free copy of Step Up: 52 Actions for Emerging Leaders for FREE, you only have to pay Shipping. As a health information management professional, Karanne Lambton has seen people hesitate when offered an opportunity to assume a management role. Reviewing her personal collection of inspirational quotations, Karanne noticed a story sequence that reflected her path as a developing leader. Using the quotations and a personal story from Karanne’s experiences as examples, Karanne explores common challenges that we have every day as a leader. Karanne guides you through some very simple exercises that will help you prepare for your next leadership role. Karanne knows how to take critical activation steps towards success. And she can be your mentor when you join Beyond Step Up NOW! If you want to emerge into a leadership role or step up as an even more confident leader, then I don't want you to miss out on this one-time opportunity to work with Karanne Lambton LIVE for 6 Weeks. Gain personal insight and increase your confidence, courage and success. Beyond Step Up – Your Live Opportunity! Sign up for Beyond Step Up Today and learn to lead from a solid foundation. Don't let your lack of confidence prevent you from being the leader that you were meant to be. Karranne Lambton is an engaging, confident, well-respected colleague and friend. I'm certain that her mentorship program, Beyond Step Up, will inspire emerging leaders to grow into thoughtful and supportive members at work and in their community. This is a fantastic opportunity for you to work with Karanne live. Don’t be left behind! Yes! I want Karanne to be my mentor! PS – You can access the Practice Management Nugget webinar interview, ‘Create success in your life by Taking 5 – the Five Step Activation Process' with Karanne Lambton recorded live on September 10, 2015. Listen to the replay now! Ah, smartphones. The wonderful technology that lets us call, text, email, and Facebook to our heart's content, all while throwing some digital angry birds. What's not to love? Quite a lot, actually, if you fail to protect your privacy. Smartphones can store and transmit a wide range of data that third parties can access – such as your contact list, your pictures, and your browsing history. They are also vulnerable to viruses and malware that can compromise your personal information. Many apps that you have downloaded or pre-installed use geo-location, which allows you to be tracked wherever you go. Using Wi-Fi hotspots are a great way to get around paying for data usage on your phone bill, Wi-Fi hotspots can also leave you vulnerable to intrusion. Wondering if a smartphone is a good idea for your child? Taylor Tompkins provides step by step instructions on how you can modify your child’s smart phone security settings to help you limit the phone’s applications that meet parental approval and empower your child to use their smartphone responsibly. Do You Use a Digital Wallet? So how do you protect your mobile privacy? Tip – Secure and protect your phone to protect your smartphone privacy. Help the Good Samaritan return your lost phone; enable your screen lock display with a contact phone number or email to find you. For more smartphone privacy tips, see Information Managers Data Privacy Day E-course. Get it before it's gone! Ackroyd, Brandon. “Smartphone Security Guidance” (TigerMobiles.com) 2015- Dec-14. Martin, Stacy. “Helpful or Creepy? The Creep-O-Meter Could Help You Find Out” Stay Safe Online Blog 2015-Nov-13. Tompkin, Taylor. Empowering Your Child to Use Their Smartphone Responsibly, Stay Safe Online Blog, 2013-Jul-16. See all the Data Privacy Day E-course resources posted each day on our website. Celebrate Data Privacy Day with Information Managers! Concerned about your privacy online? The FREE Data Privacy Day E-course makes it easy for you to enjoy the benefits of the internet while protecting your privacy. It's easy, fun and filled with practical tips, tools, and resources! Get it before it's gone. Follow Data Privacy Day around the world using Twitter and #PrivacyAware. We are proud to be a Data Privacy Day Champ! Why Does Data Privacy Matter So Much? Data privacy is important. But the real question is, why does data privacy matter so much? “Our personal information is built with our data that enriches, defines, educates and connects us. Data tells our story.” M. Dennedy, VP & CPO at Cisco. The 15 Day Privacy Challenge is a fun, FREE educational opportunity on privacy and security that you can use at home or at work. Enjoy the benefits of the internet without the fear of cyber attacks and privacy breaches when you use these practical tips, tools, and resources. This free course is ideal for businesses, healthcare practices, or clubs and their privacy officers, employees, and their families. October is Cyber Security Awareness Month and Information Managers is celebrating by hosting our annual 15 Day Privacy Challenge. The 15 Day Privacy Challenge starts October 14th, for fifteen days. The challenge includes tasks centered on a privacy or security best practice. Each challenge includes a short description about why this practice is important, how to get started, and links to additional resources. Each challenge will take approximately 15 minutes to complete. At the end of the challenge, you will receive a printable poster, bragging rights, and an opportunity to win a draw for a small prize basket (Canadian participants, only). Successful challengers might also find that this qualifies for CPE credits, too! Register for the 15 Day Privacy Challenge! 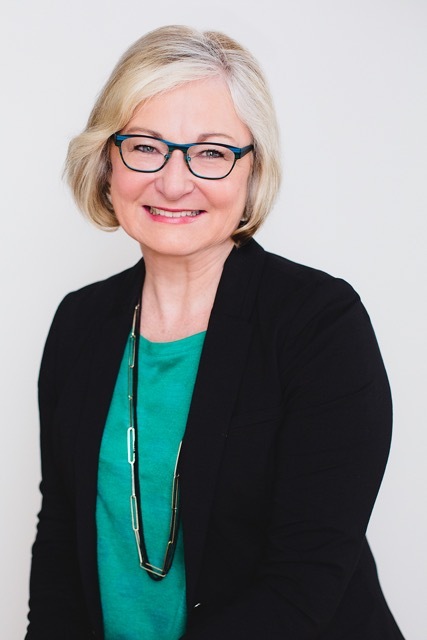 Welcome to June's live Practice Management Q&A with Jean Eaton, Your Practice Management Mentor. Below you will be able to view the presentation, hear the audio, and participate in the chat and ask questions. Our clinic shares common reception and lobby areas with another healthcare provider. We can see and overhear patients and conversations. What can we do to improve privacy for our patients? Can you suggest some ways to inform our patients about our office procedures? We don't want posters all over walls! Send your questions about practice management, human resources issues, clinic management best practices, procedures, resources, practical privacy tips and more! Send an email to Jean at jean[at]informationmanagers dot ca. Don't forget to download these resources! Practice Management Q&A series is hosted by Jean Eaton (Your Practice Management Mentor) of Information Managers Ltd. Welcome to July's live Practice Management Q&A with Jean L. Eaton, Your Practice Management Mentor. Attend the live webinar to view the presentation, hear the audio, and participate in the chat and ask questions. We want to start to receive electronic versions of lab results reporting (e-Labs) and attach the results in our patients' electronic medical record (EMR). Do you have any project management tips? Dress code tips for summer weather in your healthcare practice. Replays are available only to members of Information Managers Network. 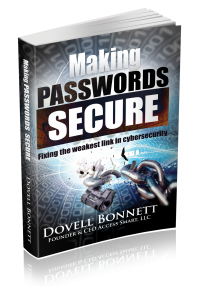 In this FREE 30-minute Practice Management Nugget Webinar with Dovell Bonnett you will learn how to fix the weakest cybersecurity link in your healthcare practice. Dovell will explain why password management is the key component of managing the cybersecurity of your healthcare practice. Replay is ready! Recorded Live April 21, 2016. The management of passwords is the real security nightmare. User authentication is the most ignored risk to enterprise cybersecurity. When end users are allowed to generate, know, remember, type and manage their own passwords, IT has inadvertently surrendered the job title Network Security Manager to employees – the weakest link in the cybersecurity chain. 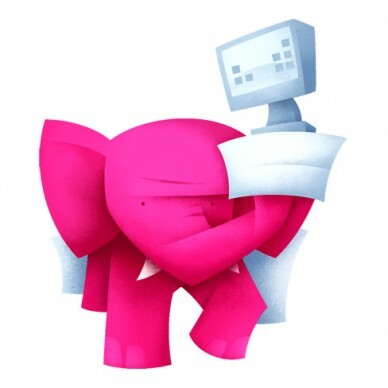 Dovell Bonnett reveals the truth about the elephant in the room that no one wants to mention: Expensive backend security is worthless when the virtual front door has a lousy lock! Making Passwords Secure breaks down THE SIMPLE TRUTH about Multi-Factor Authentication (and how to make MFA fast, easy and affordable)! Dovell proves that making passwords secure is not only possible, passwords can actually become an effective, cost efficient and user friendly feature of robust cybersecurity. After examining how encryption keys are secured, this book introduces a new strategy called Password Authentication Infrastructure (PAI) that rivals digital certificates. Passwords are not going away. What needs to be fixed is how passwords are managed. 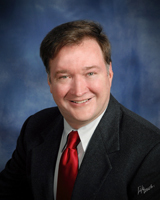 Dovell Bonnett has been creating computer security solutions for over 20 years. His passionate belief that technology should work for humans, and not the other way around, has lead him to create innovative solutions that protect businesses from cyber-attacks, free individual computer users from cumbersome security policies, and put IT administrators back in control of their networks. He has spent most of his career designing solutions to solve business security needs, incorporating multiple applications onto single credentials using both contact and contactless smartcards. The most famous example of his work is the ID badge currently used by all Microsoft employees. 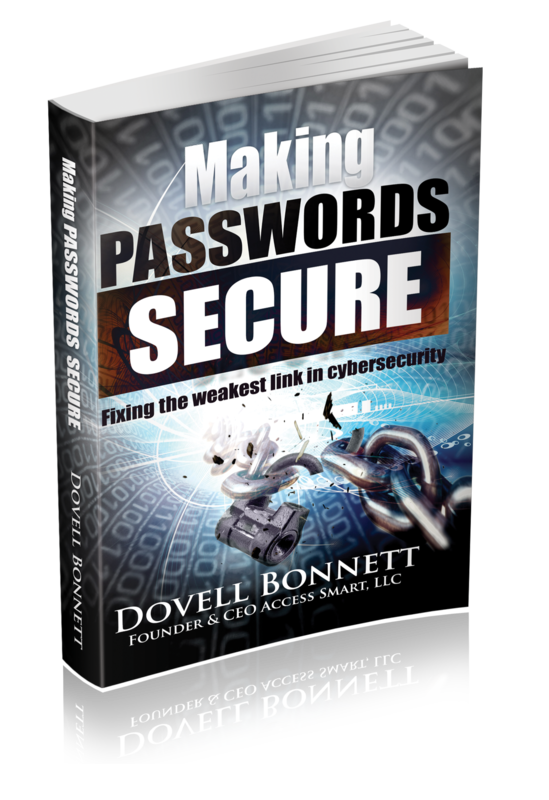 Dovell has contributed to numerous papers for the Smart Card Alliance organization; magazines, including Card Manufacturing Magazine; and is the author of two books, Online Identity Theft Protection for Dummies® and Making Passwords Secure: How to Fix the Weakest Link in Cybersecurity. Dovell is a frequent speaker and sought-after consultant on the topic of passwords, cybersecurity, and building secure, affordable and appropriate computer authentication infrastructures.